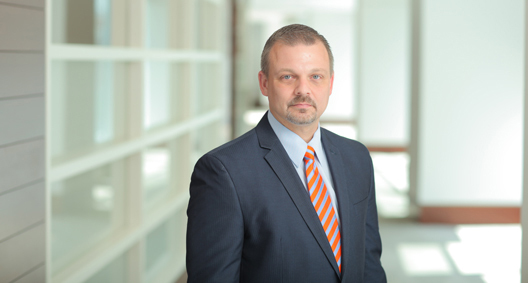 Mark Smith focuses his practice on complex commercial litigation. He objectively evaluates his clients’ cases and provides an honest and comprehensive evaluation in response to concerns. With a background in law enforcement, Mark has extensive experience working with individuals in high-stress situations incapable of being solved without guidance and assistance, which he draws upon during similar difficult situations facing clients in litigation. While in law school, Mark was a member of the Houston Law Review and served as senior notes and comments editor. Represented a major oil and gas tubular goods supplier in litigation related to failed pipe. Handled the day-to-day case management, drafted the mediation statement and assisted in presenting the case during mediation. The mediation resulted in a settlement in favor of the client. Serving as co-counsel for a former financial services executive, interviewed key witnesses and prepared the brief that ultimately resulted in charges against the client being dismissed after the original conviction against the client was overturned. Argued and won summary judgment on contract and quasi-contract claims brought against a lender by a construction contractor. Re-created the alleged chain of events, proving during summary judgment that the events proposed by the contractor were impossible based on the alleged timing. Represented a residential developer and property management company in litigation brought by a lender related to residential apartment developments concerning the characterization of guarantees made by the client as being recourse or nonrecourse. After providing a strong and compelling argument as to why the guarantees were nonrecourse in nature, the case was settled for less than 10 percent of the damages sought by the plaintiff. Argued and won summary judgment for an individual client in a dispute related to the purchase of commercial property. The case plaintiff claimed that they were fraudulently induced to execute a correction deed by the client. Proved that the client never made such representations to the seller. Represented a major bank in multiple litigation matters related to construction defects in a foreclosed property, running the day-to-day case management. Reviewed volumes of construction documents to identify the specific defects and parties responsible, as well as deposed certain involved contractors and obtained admissions that they performed the defective work in question. Also obtained admissions that the defective work was never approved or authorized by either the involved architect or engineer. Represented several general contractors in litigation related to construction defects and breaches of contract, working with the head of the firm’s construction litigation team. In each case, the issue was related to payment withheld because of defective or incomplete work by subcontractors. Responsible for the day-to-day case management, in which evidence was identified to support the clients’ withholding of funds. Each case was settled in favor of the client. Represented a major automobile manufacturer in litigation involving the transfer of two dealerships. The representation concluded with a favorable post-trial settlement. Represented a major automobile manufacturer in litigation involving disputed chargebacks and secured summary judgment dismissing all claims against the client. Represented an individual before the Texas State Office of Administrative Hearings in an appeal of denial of disability benefits.